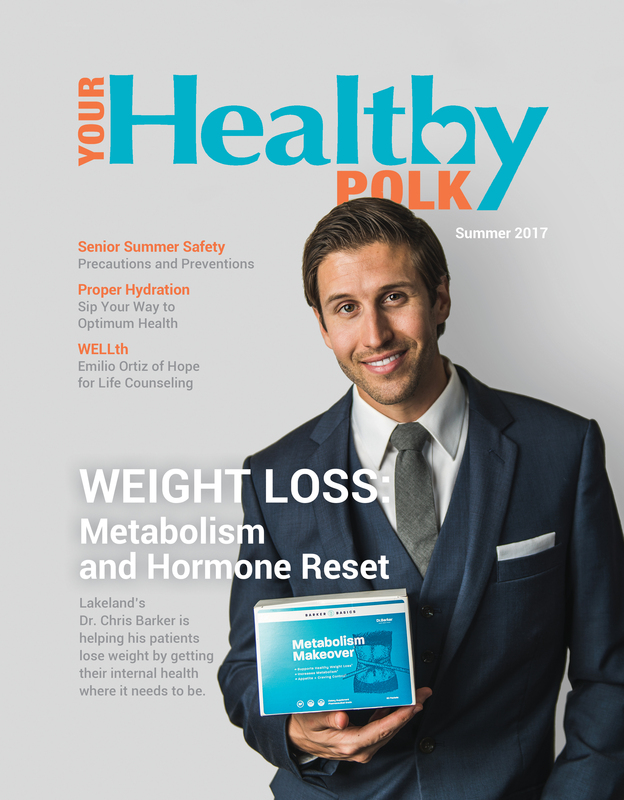 Your Healthy Polk | Summer 2017 – Your Healthy Polk | Polk Media, Inc.
Lakeland’s Dr. Chris Barker is helping his patients lose weight by getting their internal health where it needs to be. Proper hydration is so important and seemingly so simple, yet many simply don’t get enough fluids throughout the day. Get more info on how to stay hydrated in the hot Florida weather. Aging is difficult enough without the added environmental challenges. Living in Florida’s extreme heat can take its toll on everyone, but especially the elderly. Weight loss, proper hydration, senior summer safety + more.